As members of these organisations, we are held to account for our actions and adhere to a Code of Ethics in all that we do. 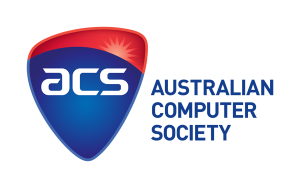 We are members of two highly regarded Australian IT Professional organisations, the Australian Computer Society and the Information Technology Professionals Association. I will treat everyone fairly. I will not discriminate against anyone on grounds such age, disability, gender, sexual orientation, religion, race or national origin. I will access private information on computer systems only when it is necessary in the course of my duties. I will maintain the confidentiality of any information to which I may have access. I acknowledge statutory laws governing data privacy such as the Commonwealth Information Privacy Principles. I will keep users informed about computing matters that may affect them — such as conditions of acceptable use, sharing of common resources, maintenance of security, occurrence of system monitoring and any relevant legal obligations. I will strive to ensure the integrity of the systems for which I have responsibility, using all appropriate means — such as regularly maintaining software and hardware; analysing levels of system performance and activity; and, as far as possible, preventing unauthorised use or access. I will co-operate with and support my fellow computing professionals. I acknowledge the community responsibility that is fundamental to the integrity of local, national, and international network resources. I will be honest about my competence and will seek help when necessary. When my professional advice is sought, I will be impartial. I will avoid conflicts of interest; if they do arise I will declare them. I will continue to update and enhance my technical knowledge and management skills by training, study, and the sharing of information and experiences with my fellow professionals. I will continue to enlarge my understanding of the social and legal issues that arise in computing environments, and I will communicate that understanding to others when appropriate. I will strive to ensure that policies and laws about computer systems are consistent with my ethical principles. I will strive to achieve and maintain a safe, healthy, productive workplace for all users.